Hello Jackson’s inaugural feature is one of my personal favorites: Tulum—a distinctive, fresh Mexican restaurant. Tulum serves many traditional Mexican dishes but with gourmet flare. Owner Daryl Fortner and his team decided to do something a little different than the stucco, cactus, and sombrero decor you find in most Mexican restaurants. They instead went with a “Playa” theme that would give guests the feeling of being on a relaxing mini-vacation. Daryl said that creating the menu was one of the easier tasks in opening Tulum since he’s always been a decent cook and loves California-style, fresh Mexican food. His brother Barry helped him create the menu from the beginning. “We wanted a signature item that was unique, so we decided on the fish taco,” Fortner said, “And twenty-eight prototypes later we came up with what we now serve as our most popular item, the Tulum Fish Taco.” I was not at all surprised that the fish taco was the item that received the most attention when developing the menu. I have yet to find a fish taco that can rival this one, stuffed with beer-battered tilapia, red cabbage, pico, and a yummy secret sauce. “We also wanted the food to be more natural and healthy which is why we decided to close the walk-in freezer [now catering storage], have no microwaves and absolutely no MSG,” Fortner also mentioned. After a lot of hard work and planning, Tulum opened in August 2010, with thirty-three items on the menu, and they have since expanded to about 100 unique dishes. The newest addition to the menu is the very popular Baja Shrimp Taco, which I haven’t personally tried. Other menu items include chimichangas, tortas, enchiladas, burritos, etc.. The burritos come in three sizes: standard is half-pound, grande is one pound, and the ridiculous Muy Grande comes in at about a whopping two pounds. The Muy Grande size is really just a fun challenge where if the guest finishes in under twenty minutes, his or her photo goes up on the “Wall of Sha-Fame” and the Tulum Facebook fan page. Most of the items on the menu are around seven dollars and include the entrée, rice, and beans. Of course there are also unlimited chips and access to the gourmet salsa bar, where there are six homemade salsas. The salsas include mild red, mild tomatillo green, chipotle, roasted red pepper caliente, habanero, and jalapeños raja. I love spicy salsa, but the habanero is a whole new level of hot, so approach that one with caution if you aren’t an extreme spice-lover. My personal favorite is the tomatillo because it is so fresh and different. My husband likes to mix several of them together to make it his own, which is usually too spicy for me! On the off-chance that the unpredictable weather in Jackson is pleasant, Tulum has live music on the patio on most Thursday and Friday evenings. On other days the patio is still a nice little oasis for enjoying a delicious meal, and it is perfect for larger parties! I have enjoyed several meals on that patio with a group of eight or more of my coworkers. 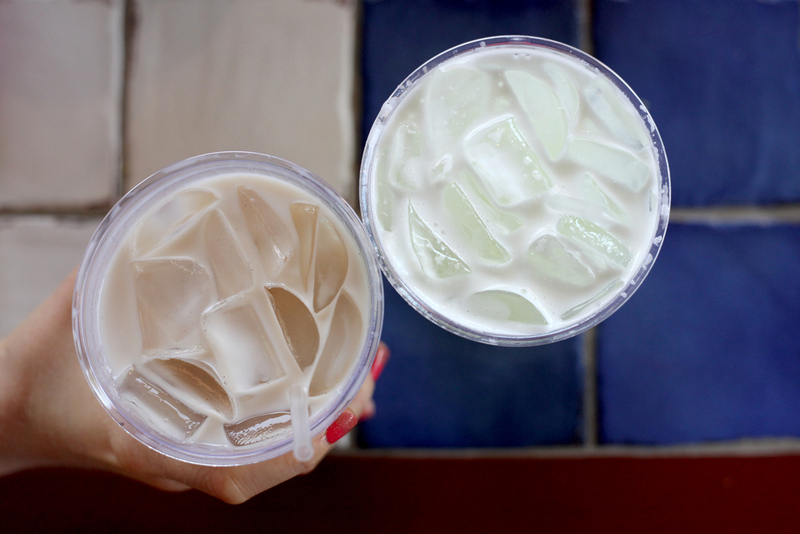 If it’s a little on the hot side, you can grab a cold beer, a tantalizingly sweet horchata or a delightful limonade to keep you cool! I asked Daryl about how the idea for Tulum came about, and he said, “The idea for Tulum Fresh Mexican Grill was hatched several years ago. My wife and I were living in San Diego, where I was partnered in a food service consulting business that advised the higher end establishments. We would come back to West Tennessee two to three times a year to visit family and friends when we decided to uproot and move back here in 2005.” Daryl said that when he was back, he missed the style of Mexican food that he enjoyed in Southern California, which was creative, fresh, and made with high-quality ingredients. In the summer of 2009, Daryl began making plans for what would become Tulum Fresh Mexican Grill. Tulum began with a quick-service concept, which involves ordering at the counter before finding a seat. Daryl has considered transitioning from this self-serve format to a full service sit down restaurant. The main reason for this is that when the restaurant gets busy, the counter gets overwhelmed, and the line can stretch out the door. Daryl also commented that the menu is too large for counter service, and with table-side ordering he could bring more creativity. The team at Tulum would love to know your thoughts on this possibility! Do you prefer counter service or table side? Let them know next time you visit! 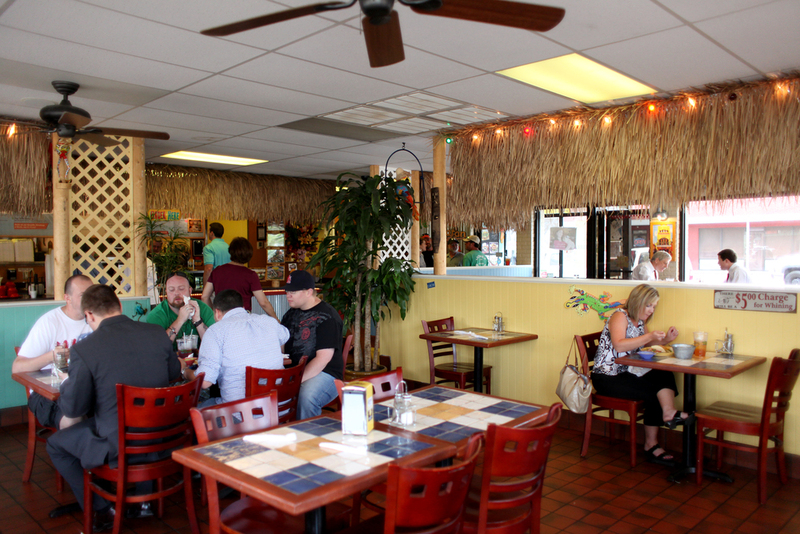 Tulum is located at 71 Carriage House Drive in Jackson and is open seven days a week. Visit their website and Facebook page to learn more.